There is a terrible silence that’s wrapped around me. As I walk, breathe and lose myself in this borderless habitat of rolling green hills and dreamy lakes of Hangzhou, I am reduced to a mere silence inside. Its difficult. Stolen in its poetic foolishness, I am awed by everything thats unfolding in my life, a bit stupefied, a bit stubborn, and a bit reckless in gambling for where my mind takes me to. Hangzhou is a romantic city. Don’t come here for a day or a week, don’t yearn for its embrace only if you are stopping by. Linger yourself here like the water in its lake has a sticky affinity to its surrounding green madness. Rest your mind in peace when you are breathing heavy, when you feel the first dash of sweat on your skin, by sitting on a rock on top of a hill, and looking aimlessly far away beyond the green slopes, beyond the West Lake, beyond the blue sky, unoccupied, with a dare to lose everything for a moment. Feel free not to remember anything, except those few hearts, those smiles, those promises, and that pair of eyes! And don’t be a half-hearted human. If you can really find Hangzhou, it will teach you to be forgiving. Hiking up the hills, boating on the lake and the beautiful gardens! So I got to lose myself a bit writing two poems while in Hangzhou. One is here, the other one (The Three Stones 磊) you can find it out on this site if you are interested to read. 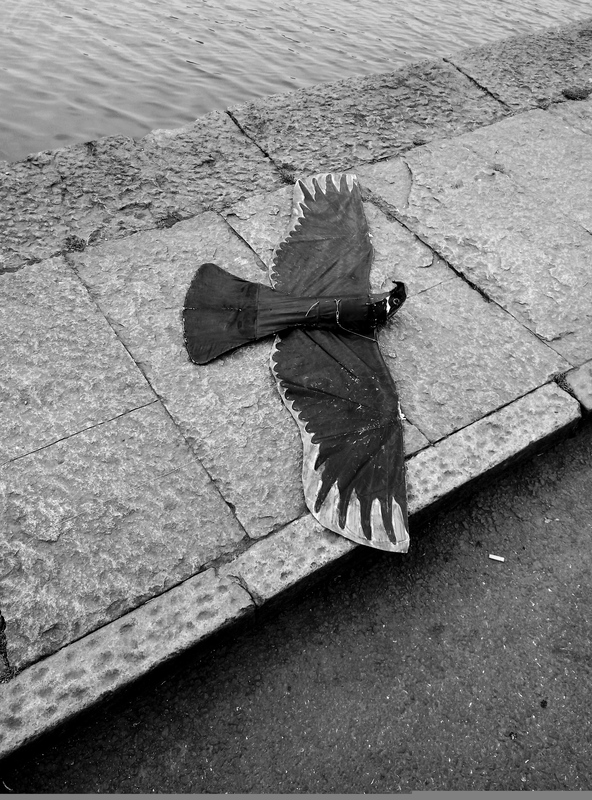 The bird is down – black, bruised and beaten. The bookmark stares empty at its hollow pages. Something was meant to be in there. passages claiming a live pulse. Perhaps a title blotted in emotion. The dust jacket and the still feathers. At a tea village, there is a museum here, a must sea showcasing the history of tea here. You’ll enjoy the food here. But honestly speaking, I like the Northeast food more, they tend to be more flavourful (and saltier) than the food here (which is sweet). Two most famous local restaurants are 外婆家 (wai po jia) 折味馆 (zhe wei guan) , both very cheap. I prefer the first one as the food is much better with more choices. There is also a famous 茶餐厅, its nice environment but I didn’t find the food any better than wai po jia. Also, you can go to a tea village and eat at the farmers house, thats an awesome experience. For me, I have been busking under my several friends’ (most appear to be professors here) hospitality. Blande bamboo roots, I didn’t understand why people eat this! Some yummy steamed bun with sweet liquid stuff inside. 粥 －Porridge, the best one I ever had! Apparently Mao’s one of favourite dish. Hangzhou fish are pretty good to try. Lotus roots with stuffed rice inside, a local delicacy but I didn’t find it that tasty. Fried 饺子 It was simply yummy! this bowl of soup noodles is just 5 RMB, a little over 1 CDN! Its just as beautiful as it looks like!